We kicked off our season of fall weddings with Jaclyn and Ryan! These two met about 7 years ago while both working together at Nordstrom. They love going on “weekend adventures” together and spending time at their new home they purchased a couple years ago. They’re all about family, and of course - each other. Ryan’s mom Barbara and stepfather Jimmy spent time with him getting ready after he read his sweet card and gift from Jaclyn before it was time to head to the church for their beautiful ceremony. 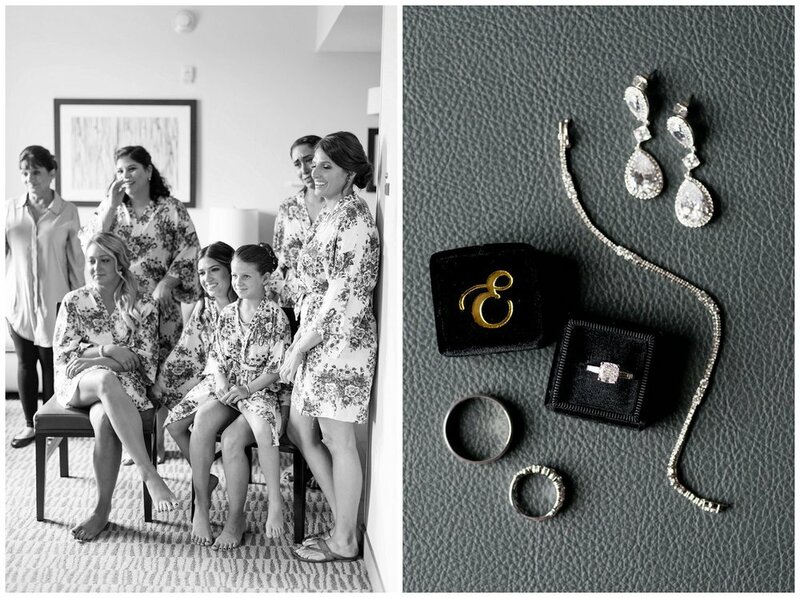 We all headed to Stone Manor Country Club in Middletown, Maryland just outside of Frederick for the reception, but because they planned their timeline so perfectly, we had lots of time for extended family photos and bridal party shots around the property! The tent was set up absolutely beautifully… Michelle from Michelle’s Creations did an incredible job with the abundant florals on every table, they were some of the most beautiful flowers I’ve seen! The bridesmaids’ bouquets were stunning too weren’t they?? I loved the wine color with hints of gold… such a beautiful combination, especially for fall! Cocktail Hour was held on the patio of the mansion, with a really nice bar set up for everyone to enjoy! I always love when I have a chance to photograph during that time of the day! After the bridal party was introduced, Ryan and Jaclyn shared in their first dance. After dinner, Jaclyn’s father and sisters as well as Ryan’s brother gave really sweet special speeches before the dance floor opened up for everyone to enjoy the rest of the special evening (thanks to DJ Craig Wood)! But not without cake of course! 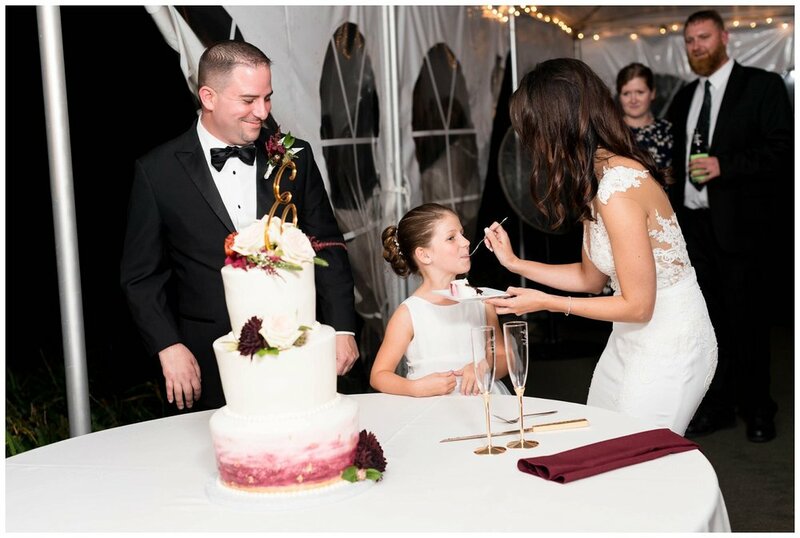 Their daughter Madison joined them for that which was just adorable… The cake was delicious too I might add, thanks to Jennifer from Main Street Sweets!